[49% OFF] 2019 Tropical Print Bandeau Bikini Set In LIGHT PINK | ZAFUL .. Carefully cut with a bandeau silhouette up top, though there are optional halter-collar straps if you're in need of more support, meanwhile, the mid-rise bottoms are cut at an angle that lengthens the look of your legs. 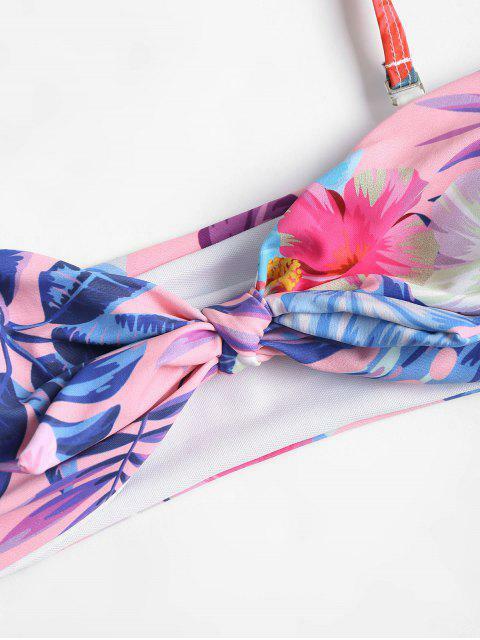 Tropical-inspired printed bathing suits are perfect for your beach getaway.